Addict In today’s world, this is a word that describes everyone who uses opiates, even those legally prescribed by a physician. The pendulum swings, but seldom settles in a rational middle ground. Pain was horribly under-treated in the U.S. but then came M.S. 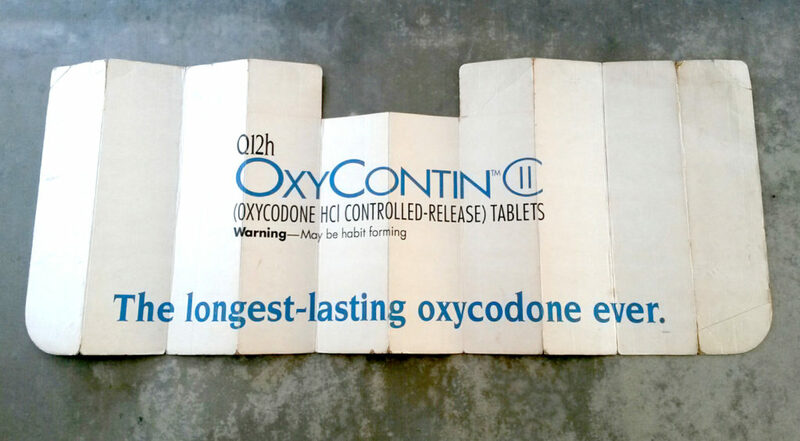 Contin in 1985 and Oxycontin in 1995. In 20 years we went from under-treating pain, to creating a huge underground market for an easily abused drug. Now, in 2018, with the growing specter of The Opioid Crisis, some regulators are hell-bent on totally abolishing the use of pain medication. As always, it will be the legitimate pain patient that suffers. 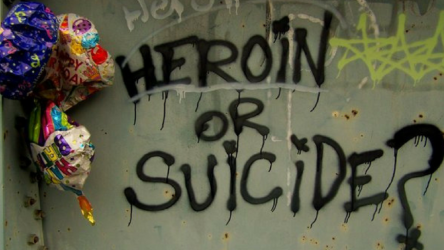 As the supply of even legally prescribed drugs dries up, many will face the choice of horrible pain, heroin, or suicide. Big Pharma Of course! Where do all of these prescription drugs originate? Until the availability of M.S. Contin and Oxycontin, opioids were not promoted by Big Pharma. For one thing, they were cheap and generic, so they didn’t represent opportunities for big profits. With the development of controlled-release delivery systems, new patents were obtained, and these drugs were heavily promoted by drug companies. The under-treatment of pain was real, and this niche was filled to the brim by aggressive promotion by Pharmaceutical Companies like Purdue Pharma. I know. I was there. 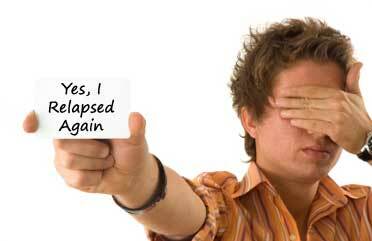 Cold Turkey As everyone knows, Cold Turkey is the abrupt cessation of the use of a substance. The method is controversial, of course, as it is hailed as the only way by some, and medically dangerous by others. Ideally, the preferred method to get off of opioids is a medically supervised gradual taper, but good luck with that. 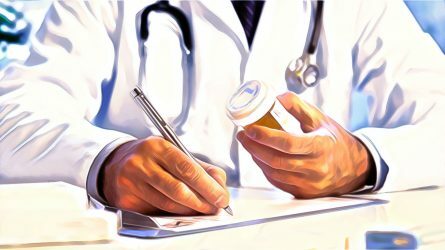 More often than not, your Family Doctor or VA has cut you back, or cut you off completely, from your much-needed supply of pain pills. Your average doctor or clinic is ill-prepared to manage your pain and take the path of least resistance, which amounts to slamming the door in your face. Dependence Everyone who uses an opiate for any period of time becomes physically dependent on the drug. This does not necessarily mean that the person is addicted. Addiction is defined as a psychological craving for a substance. Unfortunately, both the addict and the non-addict will suffer from withdrawal symptoms with sudden cessation of the drug. Both are physically dependent, but may or may not be addicts. The opioid receptors in the brain become accustomed to receiving the drug, and scream in pain when the expected dose is not delivered. Euphoria Drug abusers will always chase that first high, that delicious euphoria that opiates deliver. Unfortunately, due to Tolerance (see below), neither the abuser nor the legitimate patient will be able to recapture the initial high or relief that drugs like Vicodin or Percocet once delivered. It will take more and more drug to be effective and eventually you need larger doses to just feel normal. 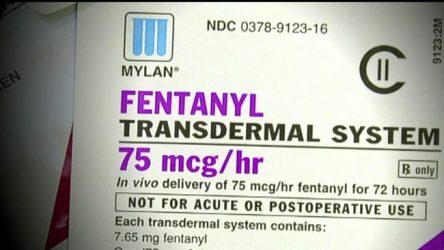 Fentanyl Fentanyl is a very powerful and concentrated opioid that has been used in PC pumps for severe, post-surgical pain, such as a thoracotomy. It was more recently used in pain patches like Duragesic, that lasted for up to 3 days, and were prescribed mainly to cancer patients. This drug, which is 50 times more potent than heroin, has made a comeback and is linked to thousands of overdoses per year. Heroin is cheap, but fentanyl is cheaper, so dealers lace their H with F. It is just economics. 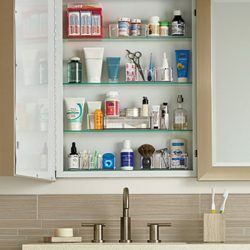 Grandma’s Medicine Cabinet Other people’s medicine cabinets are often the first stop for drug abusers. Whether it is a hefty left-over Rx from an Oncologist or just a few Lortab 10/650s remaining from a long-forgotten root canal, you find it and try a few. The Family Dentist and the Family doctor once wrote hydrocodone freely when it was a C III drug, easy to call in and easy to refill. This is where a lot of the drug abuse started, with experimentation, and then forever chasing the high. Hangover Hangover? Big deal, we’ve all had them. Sometimes drug users, suffering from the awful consequences of withdrawal, will resort to a large quantity of alcohol, just to try to kill the pain. Don’t do it. Alcohol will exacerbate the cravings for the drug, even while you are getting drunk, and the hangover that you will experience the next day will be epic. Hangover + Withdrawal makes for a hangover the likes you have never experienced before. Don’t drink alcohol if you are going through opiate withdrawal. 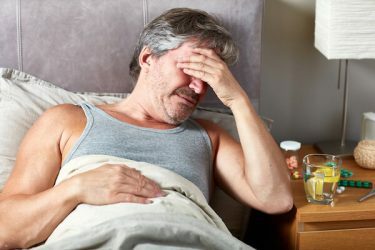 Iatrogenic Addiction This is an addiction to a drug that is the result of legitimate prescribing by doctors and hospitals to treat injuries and the severe pain that results from surgeries like knee-replacements. Once the injuries heal from the surgery or the car wreck, the patient finds out that they are unable to deal with the residual pain without the drugs. If the patient is prone to tolerance, the initial relief cannot be duplicated, and more drug is needed. In other words, no one did anything wrong, but a vicious cycle is created just due to the nature of opioids and patients who develop rapid tolerance to their effects. 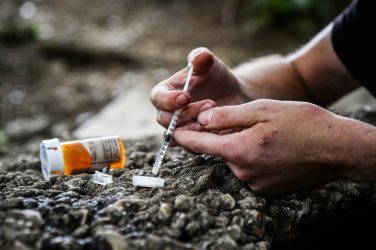 Junkie In this day and age of the Opioid Crisis mantra, this is how anyone who uses this class of drug is perceived, whether or not the drugs are obtained legally or illegally. Chain Pharmacies have become increasingly intolerant of chronic pain patients who dutifully bring in their monthly prescriptions, and pray to all the gods available that they will fill them. It’s an ugly word and the management of chronic pain has become a nightmare for both the provider and the patient. Kratom Kratom (Mitragyna) Is a controversial plant that is hailed as a wonder-drug by many, and targeted for scheduling the same as heroin by the FDA. One thing we do know about Kratom is that it will mitigate the effects of severe drug withdrawal from opioids. If you are facing withdrawal, get Kratom from a reputable dealer who has screened their product thoroughly for contaminants. Kratom is currently illegal in Arkansas, Wisconsin, Vermont, Indiana, and Alabama. There is pending legislation in other states and the nation-wide ban from the FDA is always looming. Recently, the Attorney General in Tennessee has declared Kratom to be LEGAL. The status can change rapidly, so please do your own diligence in determining the legality of Kratom in your particular state. Kratom deserves its own article and one will be forthcoming. How safe is Kratom? See the graphic below. 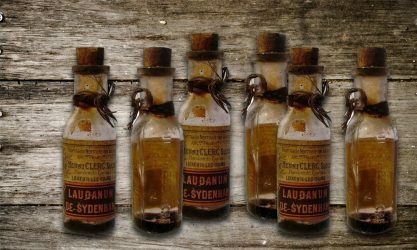 Laudanum This is one for the nostalgia file. Once upon a time, cocaine and opium were available over-the-counter from your local pharmacy and soda fountain. A popular form was Laudanum, which contained powered opium and all the alkaloids of morphine and codeine. Yeah, things were simpler in the days when Brompton’s Cocktail, Paregoric, Laudanum and Wans Suppositories existed. These things were readily available for pain, nausea, vomiting and diarrhea. Need something like this now? Forget about it. Like I wrote, nostalgia. Morphine/Methadone Morphine remains the gold standard of opiates, the drug which all other opioids are measured against for potency and equivalence. Morphine always has been very effective, but suffers from the stigma of being a last-resort drug for terminal cancer patients. Morphine also has metabolites that can cause nausea, and other drugs, such as hydromorphone (Dilaudid) and oxycodone are generally better tolerated. Morphine is still readily available, but good luck getting any, unless you are on your deathbed. 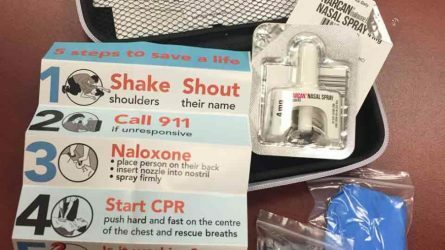 Narcan/Naloxone This is the drug you get to snap you back to life if you have overdosed. It has also been used in some ill-conceived drugs to try to make the drug resistant to abuse (Talwin) . Bad idea, as it just provided poor pain relief and put the patient into withdrawal. Resistant to failures of the past, Drug Companies have tried to use this same concept for high priced prescription laxatives to combat the constipating effects of the other drugs that they promote. Fortunately, these endeavors have been miserable failures. Oxycontin Oxycontin is not the drug that started it all, but it was the one that got all the attention, and rightfully so. The pain market was ripe for a potent pain drug that lasted 12 hours and contained no acetaminophen, which can be toxic to the liver. Unlike the conventional Percocet, which came in 5, 7.5 and 10 mg. strengths, Oxycontin was available in 10-20-40-80 and a whopping 160 mg. size. There was no limit to the upward dose as it contained no acetaminophen, which limited the doses of drugs like Percocet and Vicodin. 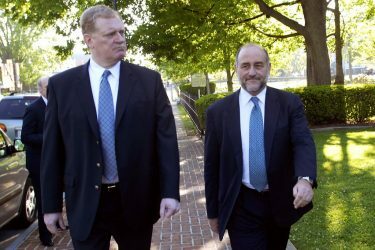 With heavy promotion from the Purdue Sales Force, Oxycontin became a multi-billion dollar drug and the rest is well known history. 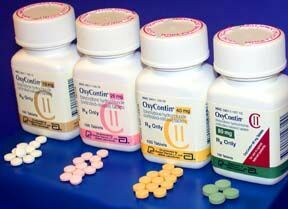 Oxycontin was promoted as being difficult to abuse because of its patented acrylic-matrix delivery system. Unfortunately for Purdue (see below), and the millions of people who eventually abused the drug, these claims had no clinical basis. In reality, the original o/c formulation of Oxycontin was easily crushed and snorted and injected. With pills that packed up to 160 mg of military grade oxycodone, it is easy to see why Oxycontin became a drug abuser’s dream come true. Purdue Pharma Purdue Pharma is something that I know a lot about as I worked for them for 24 years. Oxycontin was marketed in 1995 and in a few years it was a multi-BILLION dollar drug. Drunk with greed, Purdue threw all caution to the winds and marketed it aggressively, claiming attributes that were not clinically supported. The result was a 631 Million dollar fine and ownership of a horrible abuse problem. Purdue eventually reformulated Oxycontin, to make it harder to abuse, but the damage had been done. Purdue now has dissolved their Sales Force and faces numerous lawsuits from many States. The end of this nightmare is not in sight for Purdue. Below left is pictured Michael Friedman, who was affectionately known as “Big Red” by the Sales Force of Purdue. Quack Doctors/Pill Mills Soon after the turn of the century and the proliferation of the internet, online pharmacies sprang up. At these online pill mills you could easily procure drugs like Viagra and the then C III drug hydrocodone. All it took was a fraudulent telephone interview with a doctor and a credit card. For heavier stuff like Oxycontin, which was a C II drug, an actual visit to a clinic was required for the hand-written prescription. Shady clinics in Florida and elsewhere were courted heavily by Purdue Sales Reps and wrote fraudulent prescriptions for 700 patients a day. Dealers and addicts made regular plane trips from places like West Virginia and Kentucky to get their Hillbilly Heroin (Oxycontin). 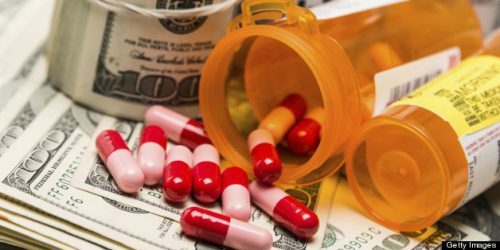 Millions of dollars worth of pills were diverted for illegal sale and consumption. Relapse The siren call of opiates is irresistible, so relapse is inevitable as long as the drug is available. Cold Turkey is not really an option if you still have access to the drugs, legally or illegally. 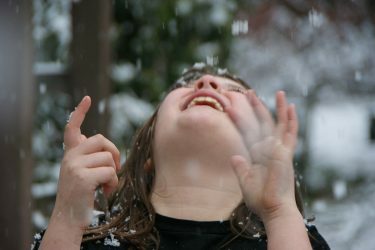 Trying to taper off is theoretically the best option, but the urge to stave off the icy claws of Withdrawal has to be accommodated. Rationalization is easy as long as you have pills within your reach. You are always chasing the elusive euphoria, counting the days, and counting the dwindling pills. Eventually they are squandered in the past and you are facing the grim reality of the future. Suicide You have been living with pain for years, whether it be war wounds from Desert Storm or crushed vertebrae from a serious auto wreck. 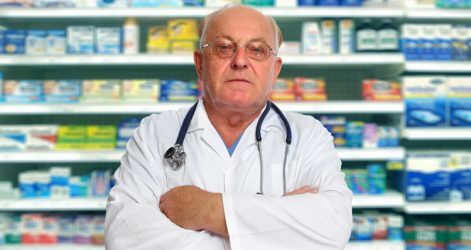 Your VA or Family Physician has suddenly cut you off from your much needed pain medication. Your doctor is terrified at the prospect of losing his medical license or being led away from his clinic in handcuffs. He takes the path of least resistance, and who can blame him? Looming legislation, hysteria over the Opioid Crisis and fear have left you with limited options. If you have access to Kratom, you are fortunate. If not, you can live a miserable existence with your pain, turn to dangerous street drugs like heroin (that may be laced with lethal doses of fentanyl), or you can just end your life. Tolerance is the body’s inevitable response to the stimulation of its mu receptors by opiates. It likes the feeling and keeps demanding more. The cure for tolerance is a drill that every junkie knows well. In order to recapture the initial euphoria of the drug, you have to deprive yourself of the drug for a long enough time to reduce tolerance. This drill involves the dreaded Withdrawal, but there is no way around it. There is Kratom and other drugs, legal and illegal, but they are no substitute for the real deal. This is the miserable existence of the drug addict -or- the physically dependent legitimate patient. It is the Agony and the Ecstasy. The Heaven and the Hell. Until/Unless There are developed drugs or treatments for pain that do not cause physical dependence, there will be serious problems with both pain control and abuse of the drugs used to control pain. The current crisis, with the remedy of restrict and ban is destined for the same miserable failure as Prohibition and The War On Drugs. Drugs like Tramadol (Ultram) have failed miserably and withdrawal symptoms are severe, and as bad as heroin withdrawal according to many reports. Vioxx (Merck) was a new class of NSAID drug that was pulled off the market because the drug caused an increased incidence of heart attacks and stroke. Celebrex is another NSAID, a class of drugs that is effective for pain to a point, but all NSAIDs suffer virtually the same efficacy and side effect profile as Aspirin. 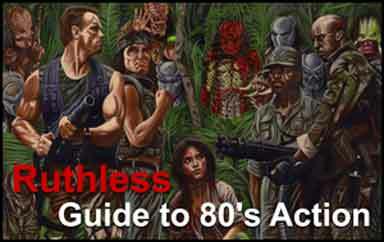 Prolonged usage can cause serious, and sometimes fatal G.I. problems and organ damage. Of course, we have the obvious elephant in the room, the substance that has filled prisons for decades, cannabis, marijuana, THC, Hemp, and CBD. 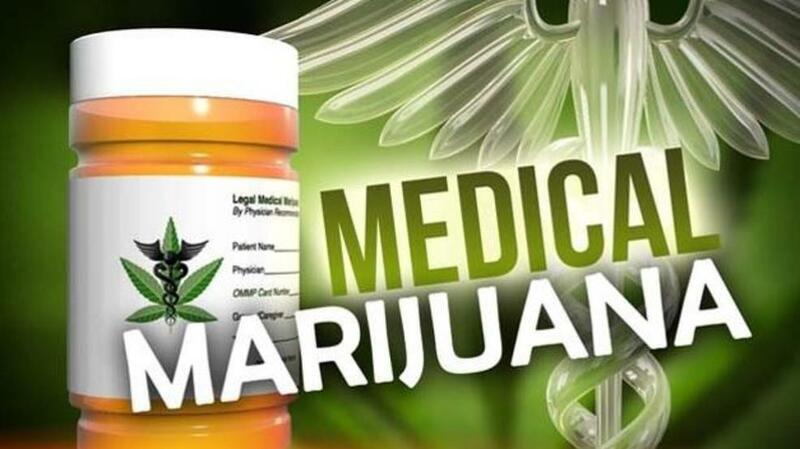 The medical potential is beyond deniable and several states have legalized. Of course, the present administration. lying through its campaign promises teeth, has launched renewed assaults on this useful, and potentially life-saving drug. This issue will be discussed in a forthcoming article. Stay tuned. 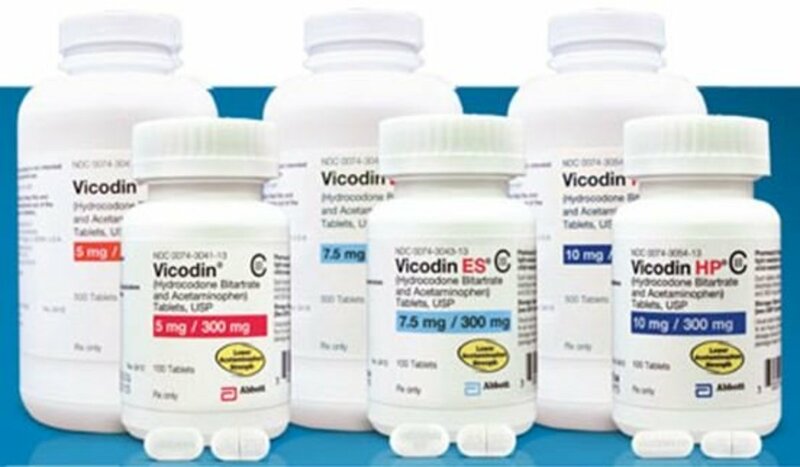 Vicodin Vicodin is merely one of the trade names for the once commonly prescribed hydrocodone/apap combinations for both acute and chronic pain. Hydrocodone, until the past couple of years, was a C III Scheduled drug, that could be phoned in and refilled 5 times in a 6 month period. Recently, the FDA has reduced the amount of acetaminophen in these combo drugs from a max of 650 mg. to only 325 per tablet. This useful drug, along with oxycodone, is under heavy attack for regulation. Withdrawal This is the true horror of opioids. Drugs are fine. Drugs are great. Drugs are no problem at all. What is the HUGE problem is when you run out of drugs. Anyone who has been on opiates, legally or illegally knows what it feels like to stop. It’s like you have the flu, only with the icy clutches of Satan incessantly gripping your gut. You would sell the soul of your deceased mother to only feel normal, much less recapture the elusive euphoria that you felt with your first dose. 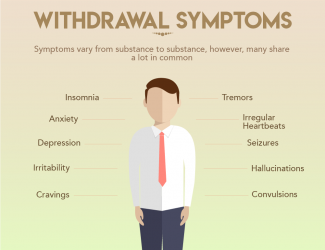 There are other substances and drugs such as Kratom and Imodium that can lessen the worst of the withdrawal symptoms. 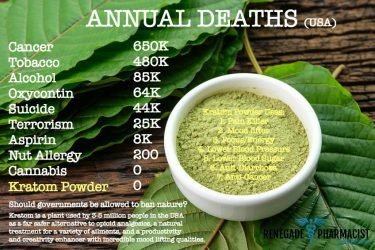 Kratom seems especially promising, but its future is in jeopardy as he FDA has been targeting it to be rescheduled in the same class of drugs as heroin. 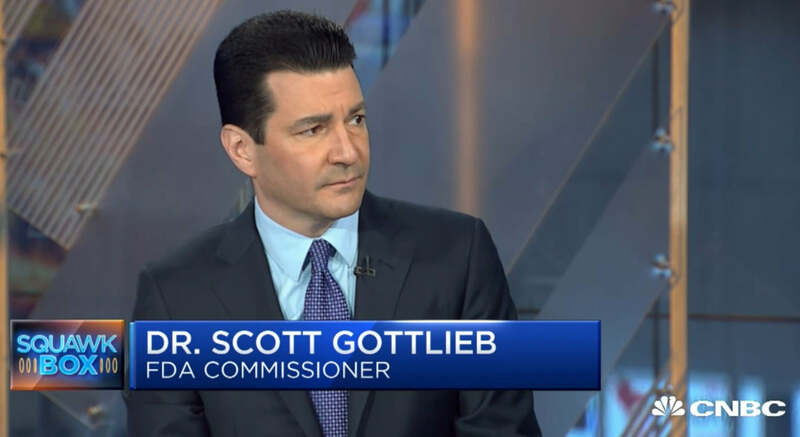 eXcruciating Pain Is what you hope that some of these assholes like Scott Gottlieb, the Trump-appointed head of the FDA get. The tune of the legislators who are trying to virtually ban all opioids would change if they or one of their family members were a victim of chronic pain. 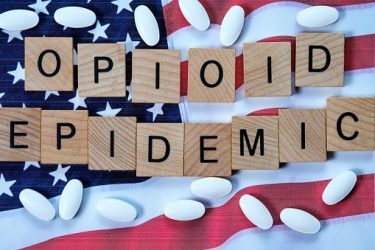 The real Opioid Crisis is going to be when millions of chronic pain patients resort to suicide or heroin. Acute pain is associated with injury or surgery and generally gets better and disappears as the body heals. Chronic pain persists 24 hours a day, 7 days a week. There is no cure, only treatment for the symptoms, and that treatment is in serious jeopardy. Yesterday used to be the Tomorrow that you were going to worry about 2 days ago. Your pain is almost unbearable as the pills are gone. As you look for the nth time at your calendar, you realize that you are still 5 days away from your scheduled refill date. The teacher knows the dog didn’t eat your homework and the clinic also knows that you didn’t knock over your pain pills into the toilet. With all the noise and hysteria, you wonder every month if your doctor will continue with the much-needed pain regimen, or succumb to the ever-mounting spotlight on the opioid crisis. You feel like a criminal and dread tomorrow and another day of pain. You are the real victim of this crisis. Zohydro and Hysingla (Purdue) are both long-acting drugs containing the opioid hydrocodone (Vicodin and Norco). They are both touted to be abuse resistant and provide 12 hours of pain relief without the potential toxicity of acetaminophen. The promotion of Hysingla was halted by Purdue (which recently dissolved their entire Sales Force) and Zohydro has come under fire to be pulled from distribution by the FDA.